??? ~ 1644: he most likely starts his career as a disciple of Nakamura Kanzaburô I, who gives him the name of Nakamura Kazuma I. 1644: Kazuma performs at the Yamamuraza in "Tanzen Roppô". 1670: Kazuma opens a cosmetic shop in Edo in the district of Takara-chô. Fall 1682: Kazuma goes to Ôsaka. 11th lunar month of 1682: Kazuma performs in Ôsaka for the zamoto Yamatoya Jinbê II as a wakashugata. Kazuma's wakashugata stage partners are Onoe Gentarô, Ikeda Fujinojô, Sugimura Rinzaburô, Iwai Hikotarô, Hanaoka Jônosuke, Takimoto Monnojô and Yamamoto Sagenta. 11th lunar month of 1683: Kazuma performs in Ôsaka for the zamoto Yamatoya Jinbê II as a wakashugata. Kazuma's wakashugata stage partners are Onoe Gentarô, Takenaka Hanzaburô, Uemura Sennosuke, Arakawa Sakon, Irie Hananojô and Yamashita Itsuki. 1686: Kazuma goes to Kyôto. 11th lunar month of 1686: Kazuma performs in Kyôto for the zamoto Iwamoto Gonzaburô as a wakashugata. Kazuma's stage partners are Sakata Tôjûrô I, Okada Samanosuke, Uemura Kichiya II, Shiga Kichibei and Hattori Jiroza. 1st lunar month of 1687: Kazuma's rank in "Yarô Tachiyaku Butai Ôkagami", the first hyôbanki in Kabuki history, is jô (superior). 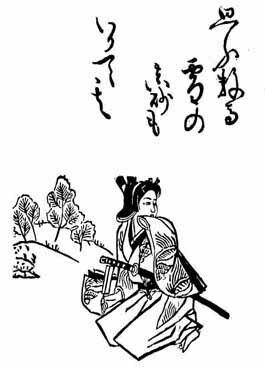 He shares this ranking with Araki Yojibê I, Yamashita Hanzaemon I, Takeshima Kôzaemon I, Suzuki Heizaemon I, Uemura Kichiya II, Takenaka Kichisaburô, Fujita Koheiji I and Karamatsu Kasen. 1st lunar month of 1688: Kazuma's rank in an extension of the 1687 hyôbanki, wakashugata section, is naka (literally "middle"). Others actors who share the same rank as Kazuma in the wakashugata section are Nakagawa Samon and Takigawa Naiki. 1688: Kazuma goes back to Edo, becomes onnagata at the Nakamuraza and is considered as one of the shitennô in this theater, literally "the big four (actors)" (this expression comes from the four Deva kings in Buddhism). He surprises everybody by taking the decision to retire in order to devote all his time to his cosmetic business. Nakamura Kazuma I was a talented wakashugata and an outstanding dancer. He retired at the peak of his fame in Edo and spent the rest of life managing his cosmetic shop, which was so successful that it existed in Edo for several generations.